The Rural Innovation Support Service (RISS) has teamed up with Scotland’s Rural College (SRUC) and the National Farmers’ Union Scotland to invite farmers to three free lunchtime events showcasing the help available for them to make the most out of their upland farm business. They will also be able to discuss their business ideas and challenges with industry representatives and other farmers. Jim Simmons of Ruthven Farm, Tomintoul, will talk about how he’s used environmental and forestry grants to enhance farm productivity – how increasing shelter has improved his lamb survival rates, for example. “Most farmers say they plan to leave the land in a better condition than they found it. For me, ‘better’ means more sustainable,” he says. 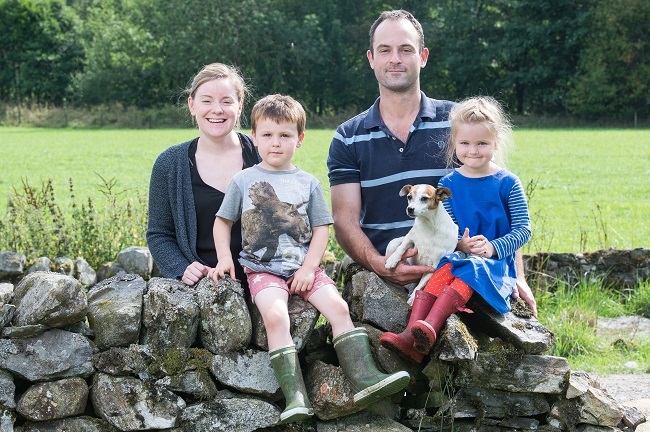 “Hill farming, and farming generally, can be very isolating,” says Colleen McCulloch, innovation manager at Soil Association Scotland, who will present RISS as a mechanism for farmers to pull an innovative project together. “These events aim to get people sharing ideas, looking at funding opportunities and maybe even working together,” she says. Highland and Island Enterprise Innovation Manager Caroline McLellan will discuss available funding pots such as Make Innovation Happen and Innovate Your Business. SAVE THE DATE: Futureproof Your Hill Farm Lockerbie (March 8) and Pitlochry (March 19), with speakers tbc.